Summer is a season for celebrating salads, and what is a salad without cucumber? 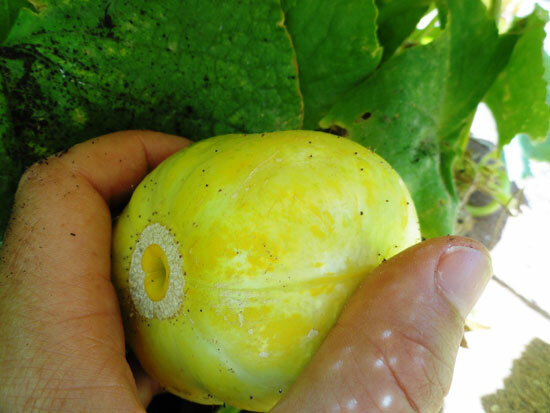 Peek through the lush foilage in our greenhouse and experimental garden this summer, and you’ll find a interesting variety of these refreshing specimens. 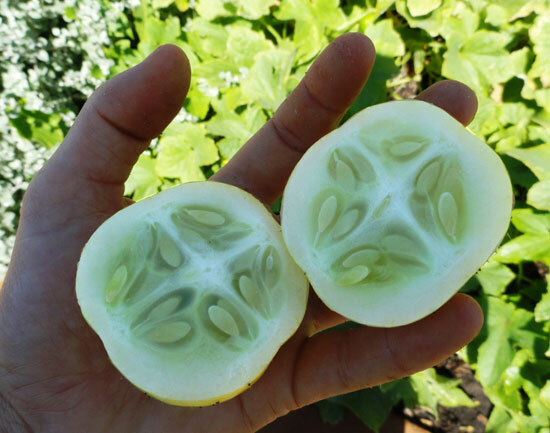 The Lemon Cucumber resembles a lemon in size and color, but actually has slightly more sweetness and flavour than a english cucumber, and the peel is thin enough to eat, too. 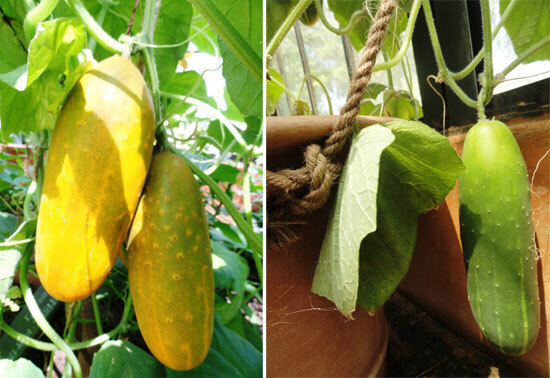 The Telegraph Improved boasts an impressive size, while our gherkins Phoona Kheera and West Indian Burr provide a twist on our cucumber offering.